The challenges of global medical education and health were the spotlight at a symposium, "Health Care and Its Reform in Governments in Transition: Global, National and Local". 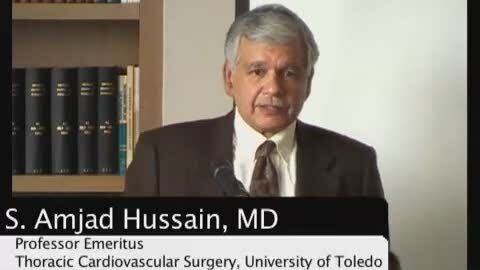 S. Amjad Hussain, MD, Professor Emeritus, Thoracic Cardiovascular Surgery, University of Toledo College of Medicine, Trustee presented, "Looking forward in reforming our Health Care System - A global reform medical approach". Presented at The University of Toledo Health Science Campus.